The Balconiers’ Society was founded in 1972 and celebrated its 40th Anniversary in 2012. It is probably the only County Supporters Club that organises stay-away trips, on a regular basis, for its members under the banner of Daffodil Cricket Tours for the best part of 40 plus years. The Society organises an annual Glamorgan Players Presentation Awards Dinner when members and sponsors are invited along to meet and present Awards to the successful players on behalf of the Balconiers. Over the years the Society has provided financial assistance to many young cricketers, which has enabled them to develop their cricketing skills abroad. Since 1998, the Society has taken total responsibility for organising the Swansea and West Wales Cricket Festival held at St. Helen’s. While we as a Society are proud of the fact that Glamorgan has developed an International Cricket Arena in Cardiff, which has brought Test Cricket to Wales, we are still steadfast in our belief that in order for the game to prosper in Wales we must ensure that Festival Cricket continues to be played in West Wales, at St. Helen’s, and in the North, at Colwyn Bay. The Society is very much indebted to the business community of South and West Wales for their invaluable support that has enabled us to raise and contribute well over £400k in the past 20 years. 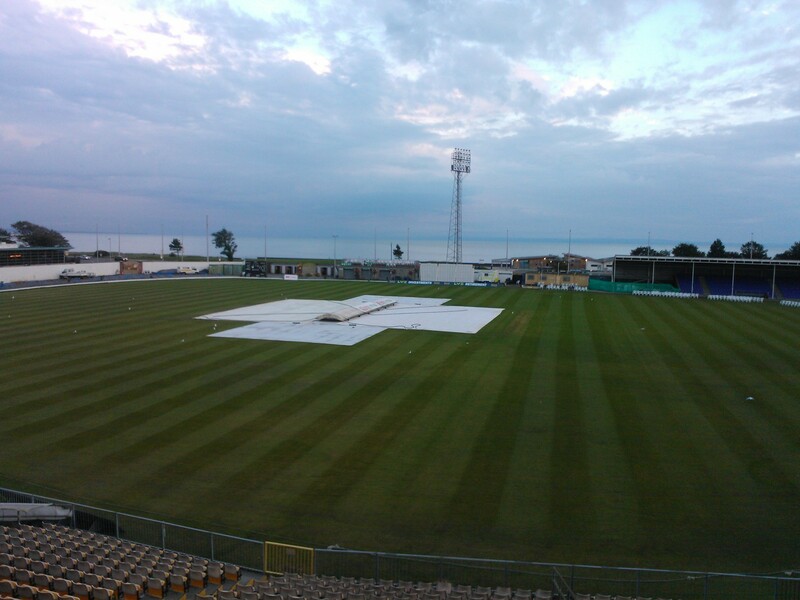 This has become an inducement to Glamorgan to continue to allocate Festival cricket fixtures to Swansea. An institution at St. Helen’s is the Beer and Tea Bar, known to everyone as Fred’s Shed, which is run by the Balconiers’ voluntary committee plus friends providing a standard of service and quality of food and drink at reasonable prices that is the envy of most other grounds. From its infancy the Balconiers have given both practical and financial support to all Glamorgan players’ Benefits and Testimonials. Finally, the Society regularly spends money pre-season on improving the facilities at St Helen’s before the Festival. In 2013 the Balconiers contributed £10k towards the refurbishment and extension of the changing rooms at St. Helen’s. 2018-Full upgrade of the giant scoreboard.